School is out and summer is in session, so it’s time to find out where the blog rankings stand in mid-2014. As in the last report (and like the one before it and the one before that), the method here uses Alexa rankings very strictly whenever they are available. For some sites (i.e., Patheos and Livejournal), where Alexa doesn’t have separate data on each blog, the position has been reckoned by hand. Check out the full list of biblioblogs, in order by rank, below. 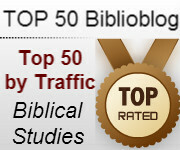 And why not keep tabs on some of the interesting blogs about the Bible while you are at it? I humbly submit my own blog for future consideration. Since Near Emmaus recently was archived, I have moved my personal blog to a new location. How do I register my new blog for the list? It look like you accidentally counted 36 twice. Thank you, Peter! I hope your Summer is going well. Thanks for all your hard work on this Peter. Could you update the link on BiblicalStudies.org.uk to http://biblicalstudies.org.uk/blog. Hi, Peter–thanks for all you do to publish these quarterly reports. Do you plan another one soon?